KINGSPORT, Tenn. – Keep Kingsport Beautiful and Hamlett-Dobson Funeral Homes will host a tree planting on Friday, November 9 at noon at Lynn View Community Center, 257 Walker Street. This planting recognizes those who have been honored or remembered through donations to the Keep Kingsport Beautiful/Hamlett-Dobson Tree Fund in the past eight months. Four red sunset maples, four red oaks and 4 Princeton elms are being planted at the Lynn View Community Center. Each spring and fall, trees are purchased and planted around Kingsport on public lands using donations from those who contributed to the Tree Fund in honor or remembrance of a special individual. The public is invited to attend this event. The Tree Fund began in 1986. Since then, well over 800 trees have been planted within our community, and thousands of people have been recognized through this program. Hamlett-Dobson Funeral Homes have sponsored the program for 32 years. Keep Kingsport Beautiful coordinates the Tree Fund program, while the City of Kingsport provides the labor and maintenance. 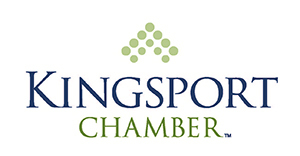 Keep Kingsport Beautiful is an award-winning affiliate of Keep America Beautiful and Keep Tennessee Beautiful, as well as a joint program of the Kingsport Chamber and the City of Kingsport. Keep Kingsport Beautiful’s mission is to involve the community in responsible solutions for a clean and beautiful environment. Hamlett-Dobson Funeral Home has been a trusted family business since 1916—back when Kingsport was a small but fast-growing farming community. Maintaining the ideals of its founders, their staff of more than 30 individuals continues to serve the community with empathy and integrity. For more information on how you can honor or remember someone special through a contribution to the Tree Fund, contact Robin Cleary at 392-8814 or rcleary@kingsportchamber.org.